I have always been a lover of cheese…much to the dismay of my waistline! Many years ago, I was introduced to brie as an appetizer recipe that a friend served for her dinner party. Her baked brie recipe was very sweet. Lots of chopped nuts and honey and fruit, all baked into a creamy goodness. I decided to make a baked brie appetizer that was savory rather than sweet and I think it turned out delicious! If you are looking for an easy appetizer recipe that will make your baked brie stand out, this one is delicious! This easy baked brie recipe requires only three ingredients and relatively little prep. 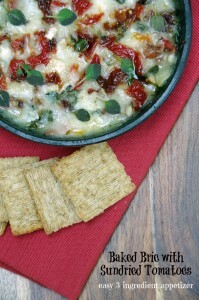 You will need a jar of sun dried tomatoes, some fresh oregano, and a small wheel of brie with most of the rind removed. That was probably the most time consuming part of this appetizer recipe but you really don’t need it to be perfect. Just do your best with a sharp knife to remove as much of the rind as you can. 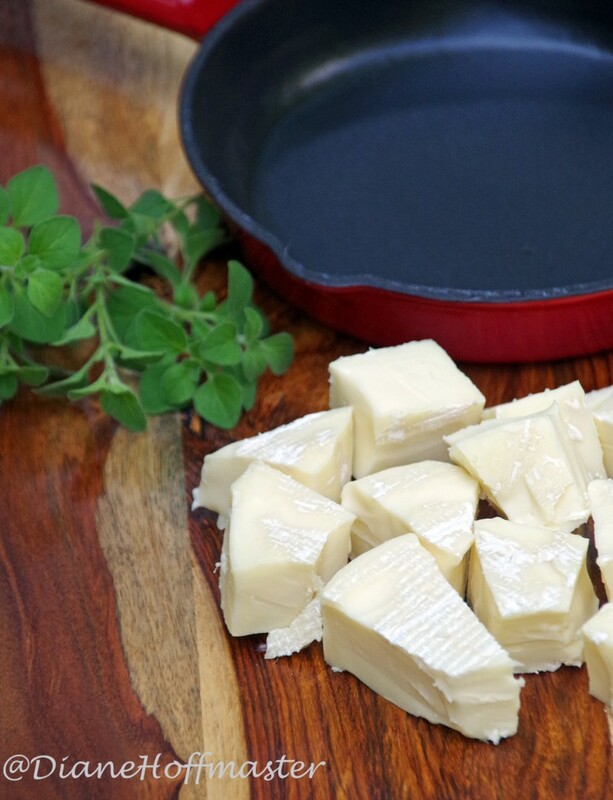 You will also need a smallish baking dish or 4 inch cast iron skillet to make your baked brie appetizer. I found a small, cast iron skillet at Bed, Bath and Beyond but you can buy one on Amazon if you aren’t in a hurry. Check out the 4 inch cast iron skillet selection on Amazon to buy one for yourself. 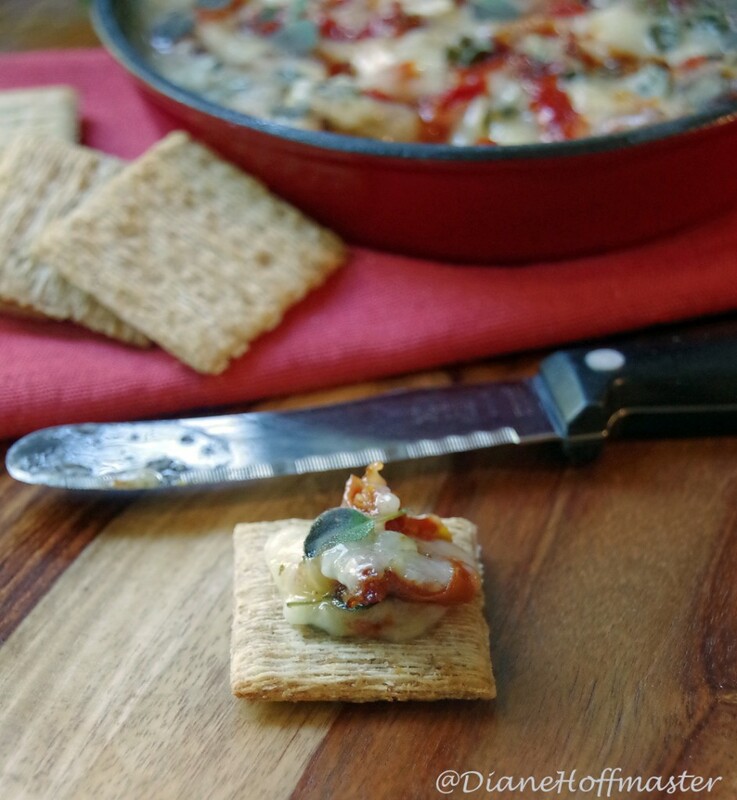 Other than those few things, you will need very little else to create this delicious appetizer. 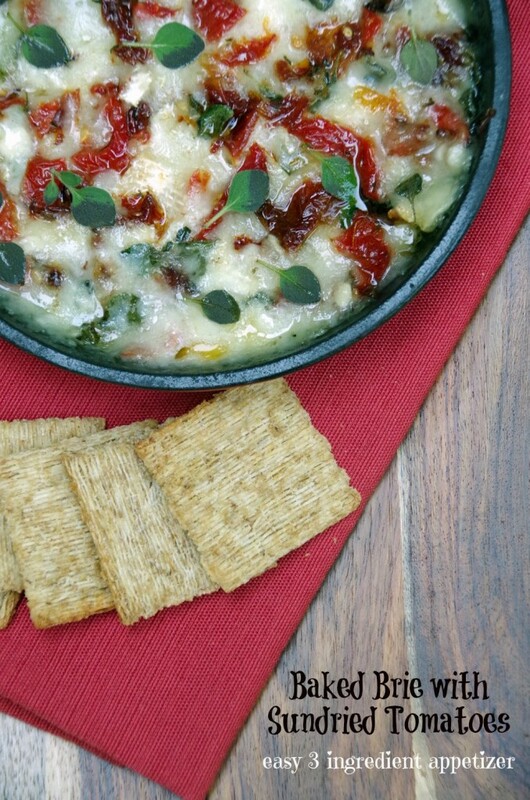 Serve your baked brie on crackers or crusty French bread. This baked brie appetizer recipe takes only a few minutes to make and is an easy appetizer for your next get together! 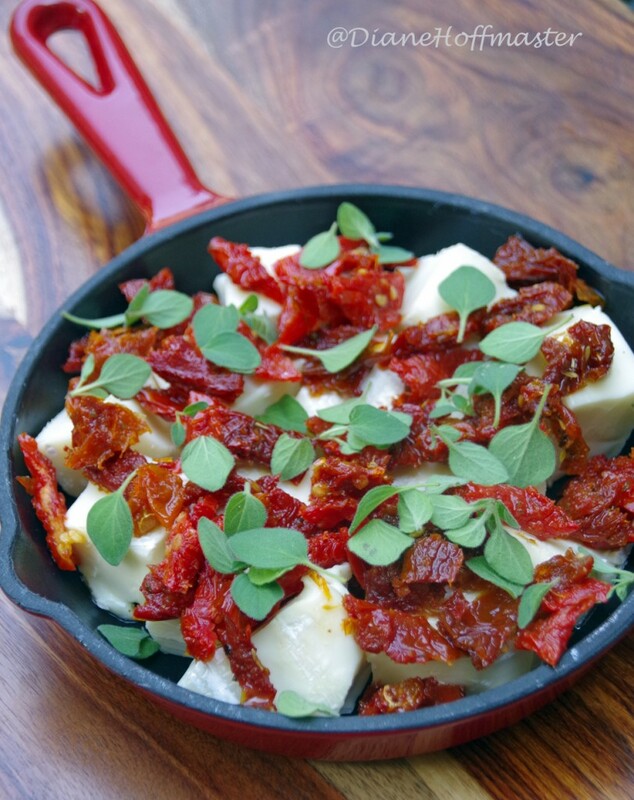 Post inspired by Menu Musings of a Modern American Mom and contains affiliate links. O-M-G! This sounds so delicious! I just pinned it and I will be trying this soon!!!!! Thank you! Hope you enjoy! It certainly made a delicious afternoon snack!